Recharge using #AccessTopUp and stand a chance of winning double the amount of airtime purchased airtime purchases below N500. 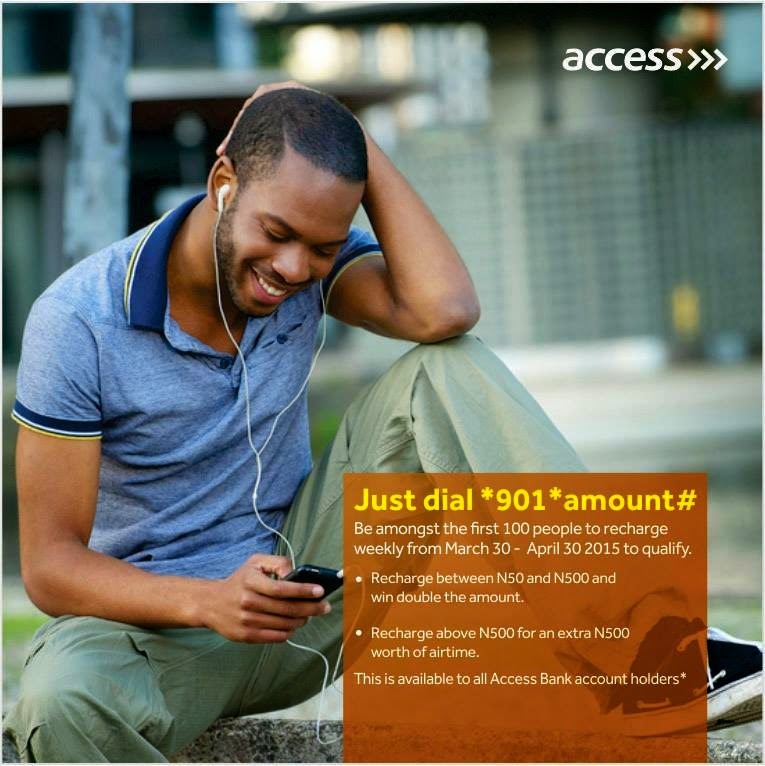 Just dial *901*amount# on the phone number connected to your Access Bank account. Offer valid from now till April 30th, 2015.